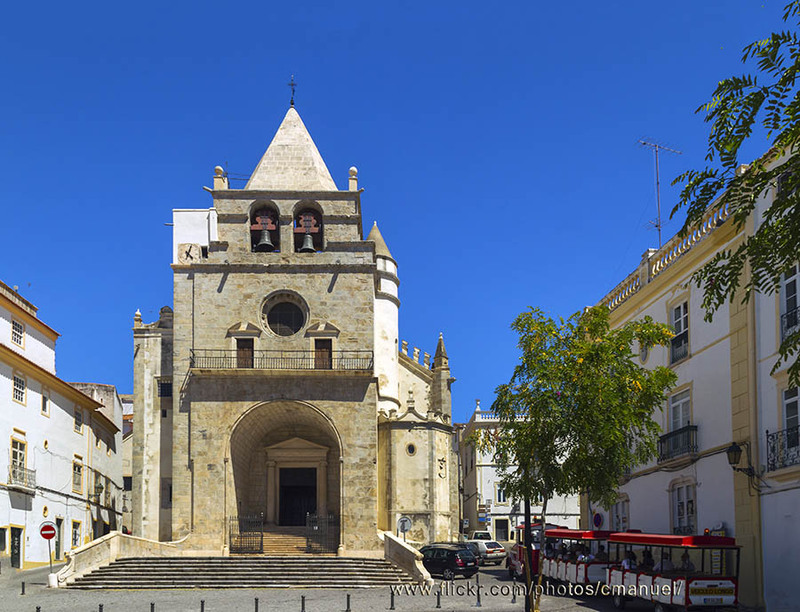 Discover this fortified church, the former Cathedral of Elvas, and its religious art museum. The Igreja de Nossa Senhora da Asssunção Church is a sturdy fortified church built between 1517 and 1537 following the plans of Francisco de Arruda, the same architect who designed the Amoreira Aqueduct. The church served as Cathedral until it lost its episcopal recognition in 1882. Despite having been restored in the 17th and 18th centuries, it still preserves some Manueline details in the side doors. The building exhibits a look of semi-fortress due to its buttresses and battlements, and - above all- the solid bell tower, annex to the front façade and with a deep portico where the main door opens. The interior houses a sumptuous organ from the 18th century, beautiful tile panels from the 17th century, and several tombstones. The major chapel was built in 1734 by José Francisco Abreu in polychromic marble with a Baroque style and paintings representing Nossa Senhora da Asssunção by artists Lorenzo Gramiccia. The side chapels also date back to the 18th century, two in gilded sculpture, and the other in marble. From the cathedral itself, you access the Religious Art museum, located in the annex Casa do Cabildo da Sé. It is a 17th century building worth noting for its Sala Capitular, used as meeting room by the authorities of the Cathedral. 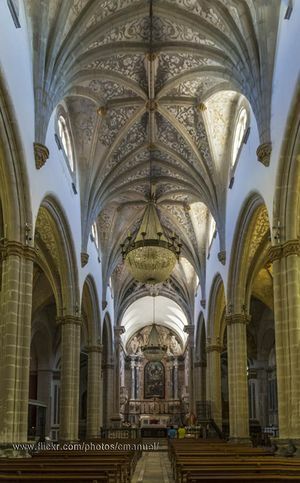 Several religious objects from the Cathedral are part of its collection, as well as paintings by Luís de Morales, among others. Praça da República, Elvas, Alentejo, Portugal.